After an intense weekend, the work of the Congregation continues, but we are still working on bringing different testimonies of those who know our new Father General. Since last Friday, when he was elected, we have had many conversations with companions, friends, and different people around the Curia and around the world, that are helping us to have a better sense of who is P. Arturo Sosa, SJ. We give special thanks to the P. Javier Duplá, socius from the Venezuelan province, who is sending us first hand information from their province archives. Jorge Cela, SJ is the president of the Conference of Latinoamerican Provincials. He is a long time friend and has a long work experience with P. Sosa. “Arturo’s history tells us he is a Renaissance man. His most obvious qualities are his people skills, and his ability to relate. I think we chose him also because he is a strategist, his training in political science and his ability, gives him an strategic vision that goes beyond the obvious. He has the ability to penetrate reality, discover its potential, and build new roads with everyone, working towards consensus. ” The mission of the Society of Jesus is not the mission of a man, thinks Jorge Cela, not even the mission of the Jesuits. It is a much larger mission, which is widely shared and this vision is one of the strengths of our new Father General. 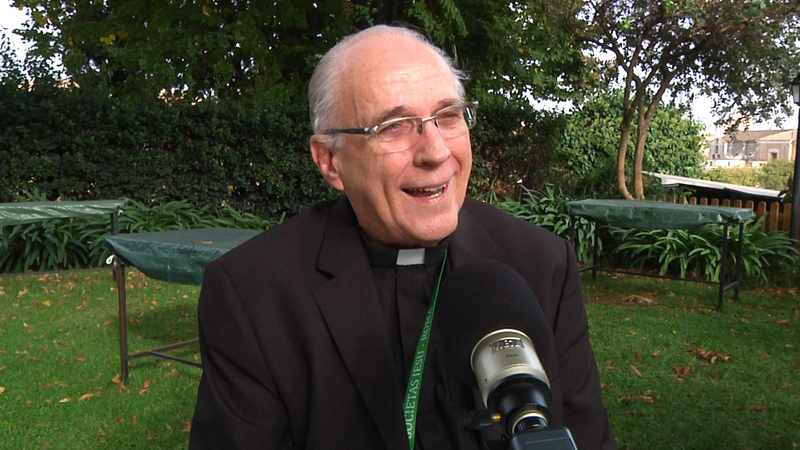 Luis Ugalde, a spanish jesuit who has been in Venezuela for more that 60 year emphasizes two aspects from his personality: his great openness and his experience in very diverse fields of activity. “He is a man easily accessible, really open, with a very good formation. (…) He did his regency in a large coop, working with the campesinos. There he could look at the society from the point of view of the poor. But he was also Director of the Social Centre and, later, Rector of a Catholic University.” Jesús Rodríguez, a venezuelan jesuit who lived with Fr. Arturo for 8 years sees him as a man characterized both by ‘faith-justice’ and ‘faith-culture’, with a broad vision of the Society of Jesus that includes the lay people. Arturo Sosa was very efficient in the projects he led in the border region with Colombia, emphasizing the relationships with the Colombian Jesuits. In the corridors of the curia, several members of the staff – those who are not part of the General Congregation but who work in offices at various levels – manifested their joy, stressing how close to the people the new General is in his way of being. Others mentioned that he is an intellectual who has a lot to contribute in many ways, but that he is at the same time a practical man. A proof of that: he had been chosen to take charge of the logistics of the General Congregation.